I’m devoted to my Stila Stay All Day Waterproof Eyeliner but a few weeks ago I misplaced it and was in urgent need of a temporary substitute! After rummaging through my makeup stash, I found this unopened Dolly Wink Eyeliner which I forgot I had. As with most Japanese cosmetics, the packaging is very kawaii (cute) and the Dolly Wink eyeliner is no exception! The main body of the pen is pink with purple dots and bows which I love. Although saying this, I think now there’s actually new packaging for it, but the new look is just as pretty! In terms of durability it is reasonably long wearing and can just about cope with my watery eyes and oily lids! Only a select few eyeliners I’ve tried so far have managed to rise up to the task. 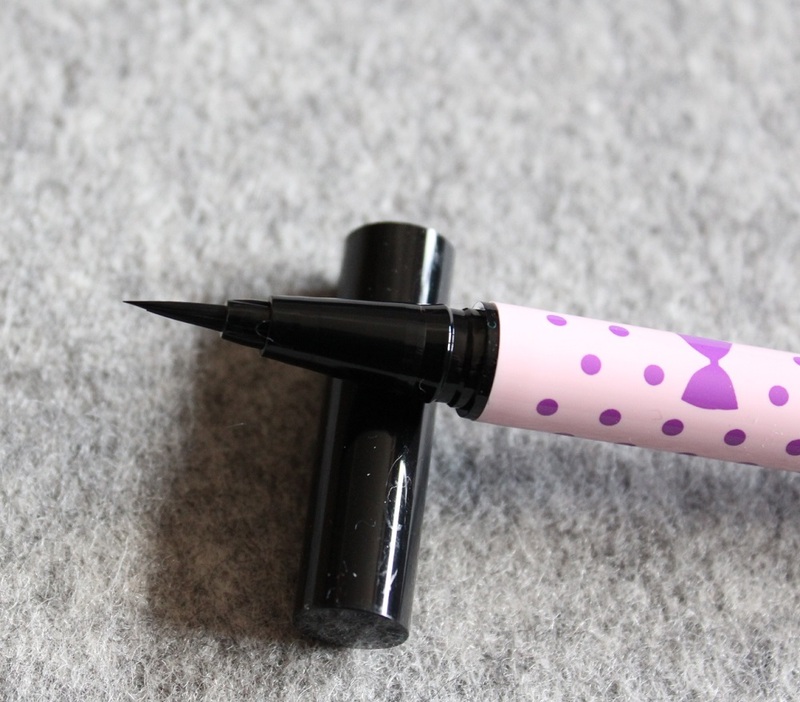 The Dolly Wink Eyeliner is priced at around $105 HKD (approx £10) and can be bought online at Sasa.com or Yesstyle.com. Have you tried any products by Dolly Wink? Do you have a favourite eyeliner at the moment?